Waterford Oaks BMX Save these 2019 dates. 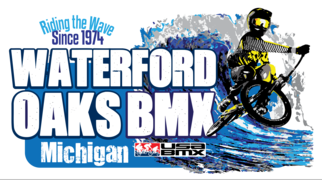 July 20 Michigan BMX State Series Race. July 21 USA BMX Gold Cup Qualifier Presented by DK Bicycles. More information to follow.